To maintain good oral health, we recommend regular checkups every six months. The purpose of the active maintenance schedule is to maintain an optimal level of oral health. Even if you have excellent brushing and flossing habits at home, there will usually still be plaque and calculus buildup. Such buildup requires specific instruments to be effectively removed. In your active maintenance session, the dentist will carefully examine your oral condition, remove the plaque and calculus left behind and give you teeth a fluoride treatment. After the checkup, the dentist will provide you with an overview of the conditions in your mouth. If needed the dentist also formulates a treatment plan for you. You should brush your teeth twice a day for a duration of approximately two minutes — this should be in the morning after you wake up and at night before you go to bed. If brushing during other times in the day, you should always wait 30 minutes after a meal or snack. Did u know that flossing cleans 10% of all teeth areas but this 10% is where the dentist finds 90% of all cavities? We recommend that patients floss at least once a day and also especially after meals. This practice is important because plaque that is not removed by brushing can be removed via flossing. Flossing helps prevent gum disease and tooth decay. We encourage patients to change their toothbrush every 4-6 weeks or sooner if the bristles are frayed. Not only are frayed and worn bristles ineffective, but they can also cause damage to teeth and gums and retain unwanted bacteria on the toothbrush. We recommend using a toothbrush with soft or extra soft bristles because hard bristles can damage tooth enamel. Using the correct technique, a soft bristle brush can clean just as well as a hard bristle brush. In case of an emergency always try and call our surgery. The dentist will usually make time either during their break or after hours to see you. If it’s after hours, we have an online bookings function on our website called the health engine which will allow patients to book appointments and leave a message. The dentist usually monitors the messages and replies when required. Here at ABC Dental Centre we will try our best to accommodate your busy schedule. Normally patients should be able to book in for same-day or next-day appointments. In routine examination, scale and clean appointments we do not need to use the drill. Do we need to use anaesthesia? At our practice, the dentists are known for their gentle hands. With minor procedures and simple fillings, local anaesthesia is usually not required. Here are ABC Dental Centre we use the latest dental equipment. All radiation devices are digital, and the X-ray dosage required nowadays is less than 10 times of what was needed in the old days where films were used. The X-rays are processed and stored in the computer which is also more environmentally friendly. 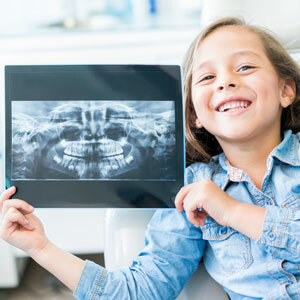 Book a visit online to see one of our family-friendly Toowong Dentists. We’re in-network, and all health funds are filed on the spot, whether it’s an evening or Saturday appointment.